Whether you are considering replacing your roof due to damage or your house needs a makeover, it is important to do your research when deciding on the material you will use. Metal roofs are becoming increasingly popular. Approximately 14% of US homes have metal roofs, and this number continues to grow! At Cox Roofing we install residential roofing in Anne Arundel County, Baltimore County and beyond. Let us tell you everything you need to know before deciding if a metal roof is right for your house. The biggest pro of a metal roof is the longevity. A metal roof usually lasts a long time, ranging from 40 to 70 years. Additionally, many manufacturers’ will provide a warranty for over 30 years. Another huge advantage is a metal roof’s durability. 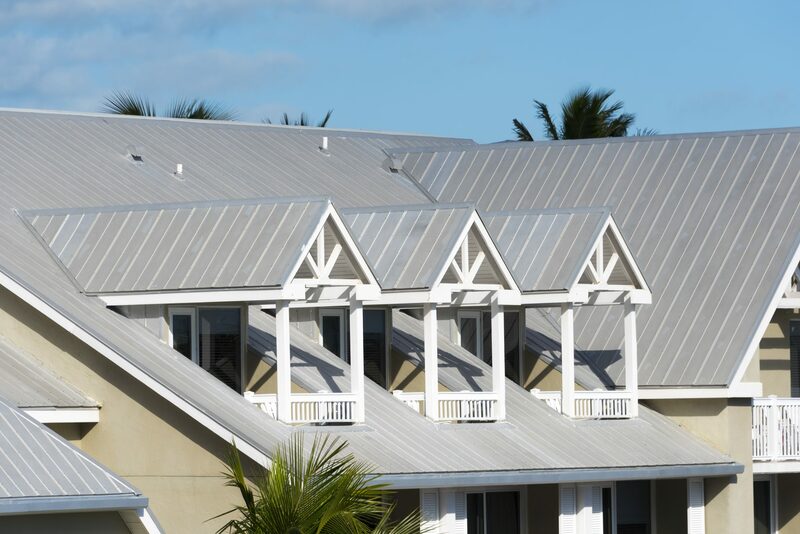 Some of these metal roofs can sustain hurricane-like wind gusts of up to 140 miles per hour. And, in general, metal roofs require less maintenance over their lifetime. Metal roofs are considered environmentally friendly. They are 100% recyclable, are made up of partially recycled materials, and don’t need frequent replacement. Finally, metal roofs can be very stylish. Homeowners have many options. You can choose the type of metal, shape, finish and select from many, many colors as well. Unfortunately no roofing material is perfect. The biggest drawback for metal roofs is the cost. Metal roofs, both in material and labor, can be 10 times as expensive as asphalt roofs. However, you should consider that you will also replace the asphalt roof a couple of times compared to the life of the metal roof. A metal roof can withstand extreme weather. However, hail and falling branches can dents in the material. Similarly, if a repair or replacement is needed years later, it can be difficult to find an exact color match to your metal tiles. This could result in a mismatched roof. In addition to looking at the options for roofing material. It is equally important to select a quality roofing company. Your roof is a big investment and you want to ensure that you hire experienced professionals. For those looking for commercial or residential roofing in Anne Arundel County, Baltimore County or Howard County, Cox Roofing is the top choice. We have over 30 years of experience and are fully bonded, licensed and insured. We are a top-rated Home Advisor supplier and customer satisfaction is our top priority. Contact us today for a free estimate!